Our company was founded on April 24, 2014 in London under the number 09010311 by a team of experts in forex trading with experience of more than 15 years in the global markets in addition to a group of investors who trusted our team in order to increase their money through investing huge sums. Our team knows exactly how to take advantage of market volatility to achieve the greatest possible profit. When you invest with us you'll see for yourself that our company is different from the rest of the companies in this field. Difference starts from our advanced and easy to use system that we have developed, which includes our website and Imprazia Client Software. Because our first goal is to gain the trust of our investors, we focus on transparency in our work by providing all the detailed data for the performance of our team in forex trading. This information includes charts and tables that include all the data that our investors want to see. Our second goal is to achieve a good and guaranteed profit for our investors. That contributes to the strengthening of trust between them and us. Our team is fully capable of achieving this guaranteed profit because of its experience gained during many years of working in the market of Forex Trading. Because we know that you may need the amount you have deposited at any time, we have taken this possibility into consideration. You can invest for any period you want. When you want to end the investment and withdraw principal, your request will be processed within 24 hours without any delay. Investors who do not have a lot of money to invest in order to achieve a high return will find our company is the best place to invest because of our Imprazia Teams System. our company started to trade currencies in the forex market using money deposited by a group of investors who have contributed to the establishment of Imprazia Ltd.
During this month, our website is only for private use for that group of investors. They will test our website and provid suggestions for easier use and our developers will take them into consideration to make updates on our website and Imprazia Client Software to become ready for use around the world. We officially launched our website Imprazia.com to accept deposits from people around the world who want to make a good profit nearly risk-free. A group of investors who have contributed to the establishment of Imprazia Ltd have tested our system for more than one month. We are ready now to accept deposits from people around the world. Our team is fully capable of achieving a good and guaranteed profit for our investors because of its experience gained during many years of working in the market of Forex Trading. You can invest your money with us quite easily. We offer three investment plans fit the needs of all our members. All plans provide you with a guaranteed profit on a daily basis. When you want to end your investment and withdraw your principal, you can do it easily at any time you want. This means that you can invest for any period you want. Imprazia Teams System has been developed to enable you to invest small amounts and earn more money! Because we can achieve a high return when you deposit large amount, and because some investors do not have a lot of money to deposit in order to achieve a larger percentage of profit, we have developed a system of investment by teams. You can easily create a new team - or to join an existing team and add one or several deposits to this team. We will handle all deposits in this team as a single deposit. So we can achieve a high rate of profit. The daily profit will be divided among the team members, according to the contribution of each member. Our team has developed Imprazia Client Software to allow our investors to use all services easier, faster and do all the operations safety. It is available for FREE download. 2.5 MB free space on your hard drive. 06.18.14 10:44 Account Transfer -300.00 Sent Payment: 300.00 USD to account U5235180 from Uxxxxxx. Batch: 60690587. Memo: Shopping Cart Payment. Deposit - username: viva - Compounding: 0. Memo : API Payment. Imprazia.com Withdrawal - Username: hyipcruiser. The amount of 0.5 USD has been deposited to your Perfect Money account. Accounts: U5235180->U3789391. Memo: API Payment. Imprazia.com Withdrawal - Username: hyipindo.com.. Date: 11:02 19.06.14. Batch: 60797089. The amount of 0.5 USD has been deposited to your Perfect Money account. Accounts: U5235180->U3831849. Memo: API Payment. Imprazia.com Withdrawal - Username: hyipshome.. Date: 11:06 19.06.14. Batch: 60797648. The amount of 0.5 USD has been deposited to your Perfect Money account. Accounts: U5235180->U1187273. Memo: API Payment. Imprazia.com Withdrawal - Username: ishprash.. Date: 11:15 19.06.14. 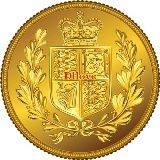 Batch: 60798380.
affiliate program that allows you to earn 15% of all daily earnings that are earned by your referrals. 06.20.14 09:38 Account Receive +6.9 Received Payment 6.9 USD from account U5235180 to account Uxxxxxxx. Batch: 60893028. Memo: API Payment. Imprazia.com Withdrawal - Username: viva. Memo: API Payment. Imprazia.com Withdrawal - Username: Invest-Analysis.Org. 20.06.14 09:49 Receive Received Payment 0.5 USD from account U5235180 to account U1338028. Batch: 60894333. Memo: API Payment. Imprazia.com Withdrawal - Username: hyiphotlister.